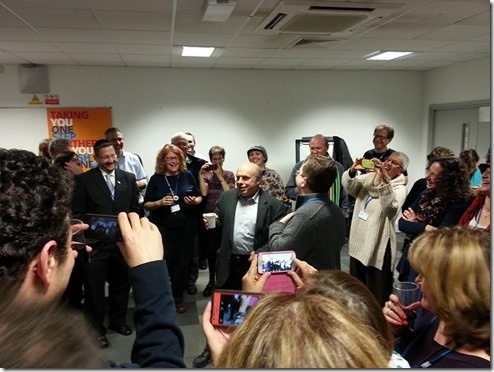 This year I was invited to speak at the Limmud Festival in Warwick, England, which took place December 22nd-26th. I wrote down my impressions in two articles published on the Avi Chai site (A, B), and are here translated and combined into one. One of the most inspiring moments I experienced at the Limmud Festival this year was when I met two representatives from “Limmud Bulgaria”, that is, the Bulgarian version of the event. Limmud Bulgaria draws a far smaller crowd than Limmud England in Warwik (the central of these conventions), which is the one I took part in last month, and which served as home for a week to no less than twenty-six hundred people. In Bulgaria Limmud is attended by some seven hundred people, mostly Bulgarian Jews. If we recall the size of the Jewish population in Bulgaria, which stands at some six thousand people, we shall instantly see the magnitude of the occasion, and the centrality of Limmud to Bulgarian Jewry. More than ten percent of the congregation meets there, and one can easily deduce it’s the main event for the Jewish community in that country, one that shapes its life and agenda to a large degree. ‘Limmud Bulgaria’ is an extreme, but not unique example of the immense influence held by this project over Judaism outside Israel. Today there are no less than eighty Limmud events in thirty-eight countries, on six different continents, from New Zealand through India to South Africa; the model developed by British Jewry 33 years ago is probably its best and most successful export. So what is the model? Broadly, meeting and studying together. The lectures can be about anything in the world: The bible, cooking, politics or sports. They of course touch upon the Jewish aspects of these topics, though the audience does include a few non-Jews who show an interest (my talk on neo-Hassidic trends among Breslov communities was attended by an Anglican priest). The largest denomination among the audience is Modern Orthodox, accounting for nearly 40% of the participants. The rest belong to non-Orthodox denominations or no denomination at all. One of the main principals Limmud adheres to is its absolute pluralism. Anyone can have a voice at the gathering: Any person, any stream of thought, any idea. 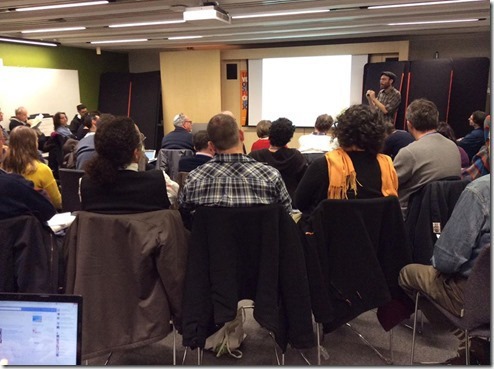 To further this, Limmud tries to fashion its common space as a-hierarchically as possible. The name tags distributed carry no titles, and the first name is much more noticeable than the last. Therefore, you meet Michael, Talia and Ephraim, not Prof. Michael Fishbein, Attorney Talia Sasson and the Chief Rabbi of the UK, Ephraim Mirvis. 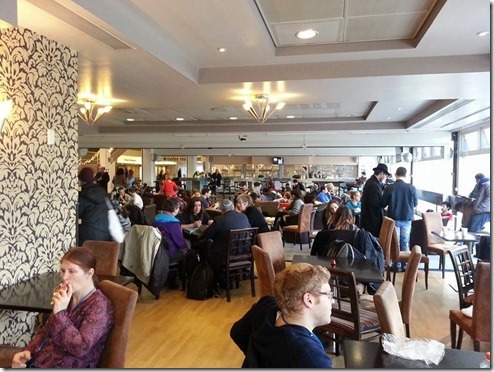 Everyone’s on the university campus, in the same dining halls and cafes. The object is to meet, get acquainted and mutually inspire. Speaking of the Chief Rabbi of the UK (actually the Chief Rabbi of the United Synagogue, an Orthodox Jewish body created in 1870 by British Parliament and considered to be the representative group of UK Jews), this year he took part in Limmud for the first time, his predecessor Lord Jonathan Sacks having consistently avoided doing so. Sachs is actually rather liberal in his own views, but due to an old agreement he had with the Ultra-Orthodox Jews in the UK, he refrained from the gathering, earning the ire of the more pluralist ends of British Jewry. Matters reached the point where Ephraim Mirvis, the current Chief Rabbi, really had no choice in the matter. The body that elects the Chief Rabbi in the UK, which consists of rabbis and prominent congregation members (and not just rabbis never elected by the community, like the equivalent body in Israel) specifically made the election of any new Chief Rabbi contingent on his agreeing to attend Limmud. One can learn from that not only how UK Jews manage their rabbis (and not vice-versa), but also how significant this event has become. This significance extends beyond the variety and lack of hierarchy. Limmud is the global face of the same rise of interest in Jewish culture and religion we can witness in Israel. A 2011 study showed that for thousands of participants, Limmud was an inspiration to deepen and nurture their Jewish identity. In front of every dining hall, and even every coffee and tea stand, Limmud places a hand-washing stand replete with alcoholic disinfectant solution. Sometimes there is a volunteer standing next to it to make sure that all those entering to eat did indeed wash their hands. The organizers are concerned not to let so many people from so many countries spread so many germs around. And rightly so. It is actually in other (much happier) regards that mass infection takes place here. After my lectures I had a special feeling: Here are interested people from France, Argentina, New Orleans, Bulgaria. One lecture given here can have a great impact, when each listener carries its ideas back to his or her country. Each participant also comes from a different world: Academics, rabbis, public officials, business people, youths, artists, each with their own frame of reference, each with their own set of peers to whom they can relay what they have heard and learned. I have never spoken before such an eclectic crowd, and have never felt how significant a single lecture can be. And yet, that is hardly the main purpose or greatest significance of the gathering. 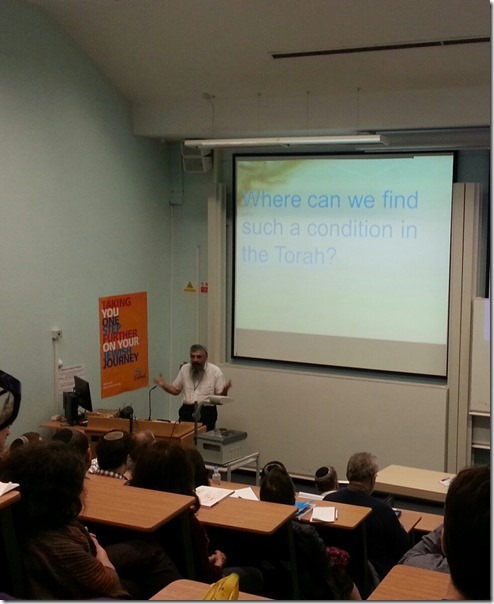 So what is the meaning of the Limmud phenomenon? Undoubtedly, several deep currents moving at this time underneath the cultural tectonic plates of Judaism converge to create this impressive event. 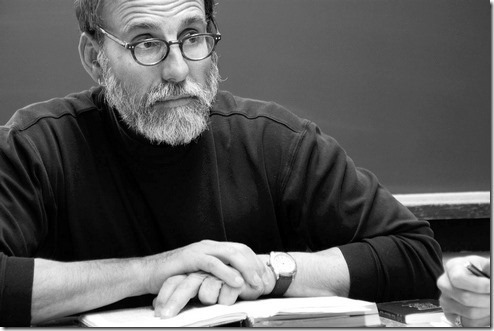 First, I believe it is a deep need for community rising within Judaism outside of Israel. Small congregations in Eastern European countries or Australian cities or in the American hinterlands need the gathering in order to record hours of interaction. A social gathering allows them to once again feel part of a great people, to exchange ideas and re-examine viewpoints. For the younger participants this is of course an opportunity to find a mate, and for the older ones a vital gateway to an objective I have heard mentioned time again throughout the festival: Networking. Jews are world-class experts in creating, managing and fund-raising for non-profit organizations, and the importance of connections for this purpose cannot be overstated. All these constitute an important bedrock for the production. Another trend that helps create Limmud is an ecumenical outlook, which in the Jewish case can be termed ‘post-denominational’. In other words, the division into various schools loses some of its force. It exists, but not as an important element of identity, and therefore not as a factor that can cloud the atmosphere of cooperation and mutual inspiration. Apart from the well-publicized arrival of Britain’s new Chief Rabbi, I actually remember no talk of ‘denominations’ throughout the entire event. Finally, and as an underlying cause of the previous item, we can point out the decline of Halakha as a significant factor in the lives of Jews nowadays. This is of course not new, but it is a growing trend, and one should note that it exists not much less among observant Jews than among those who do not observe the commandments anyway. In other words, even for Orthodox and (some) Conservative Jews, for whom Halakha is a significant part of their lives in terms of the time they spend each day on its nuances, it is not a significant part of their lives as an element of identity. Observing the commandments is not sustenance enough for them in order to fashion a meaningful Jewish life. They need a cultural-contemplative layer to complete their “Jewish life”, to charge it with sufficient vitality to flourish. 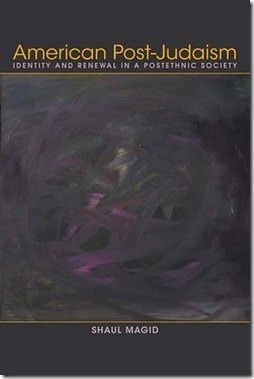 The diminishing of Halakha as an element of identity is what enables the mixture of denominations on the one hand, and on the other also what draws many observant Jews to enrich their lives with a ‘Judaism’ that is not connected to Halakha, but serves more as a source of cultural affluence. Unlike what one may find in Kabbalah and Hasidism (taking two previous attempts to soar above Halakha), the cultural offerings here do not bind themselves to the divine law, but play out in other cultural fields (intellectual, artistic, folklore-related, culinary). Can such a “Judaism as culture” fashion a lasting space of private and community identity? I don’t know. Furthermore, aside from the detachment from Halakha, there is another detachment in Limmud: from Hebrew. Only when you hear a few lectures that touch upon textual dimensions of the tradition do you realize how difficult it is, i.e. 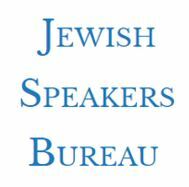 this whole business of a Judaism that does not speak Hebrew. It is then that you understand the magnitude of the miracle that happened to the Jewish people and religion and culture in the revival of the Hebrew language in Israel. Only when you hear a lecture about the Talmud in English, where every word in every verse has to be translated, meaning displaced from its context and sterilized of its juiciness and multiple facets; only when you take part in a workshop on the kabbalah of Abulafia and instead of name combinations you combine ABC’s, only then do you truly realize how distant this Judaism is, how much it lives its life by proxy. Of course, we can (and should) say that this is simply a different kind of Judaism, no less legitimate and significant. It has its advantages as well. And yet, the detachment from the language along with the detachment from Halakha does not leave much of a firm foundation on which to build a cultural-identity backbone. I definitely don’t want to join in the pessimistic voices regarding Judaism outside of Israel (which always seem to me woven into a clumsy attempt to placate ourselves that although life in Israel is very hard there is no choice etc’). Culture is a complex, multi-dimensional organism that knows how to survive in difficult situations, and Jewish culture has already proved itself in this regard. There is also no doubt that Limmud is highly valuable to communities outside of Israel, and the sense of community it fosters is real. At the end of the day, this is its objective, and as of today it achieves it. The question to be asked is whether all this pluralistic, many-faced richness will coalesce into a lasting Jewish existence. At present I think it’s too early to tell, but a we shall be able to note a positive sign when out of Limmud will come not only community, but idea’s fashioned into creation.